The movie opens Thursday and the internet is all abuzz! The cast of Rogue One has been all over the news the past week. Seeing everyone together like that, I realized something… it is an incredibly diverse cast! Of course I knew that before, but I have to admit I hadn’t actually given it any thought. Does it change things? Absolutely! To have a movie franchise as big as Star Wars depicting heroes of such varied ethnicities is fantastic, and sets a wonderful example for the rest of the movie business. Having seen The Force Awakens making such a difference in how little girls play (not to mention how it changed how action toys are marketed to kids), I just cannot thank Disney enough for continuing to make Star Wars universe an inclusive one. For kids, seeing someone up on the silver screen that looks like them, can have a profound effect. THANK YOU Disney! 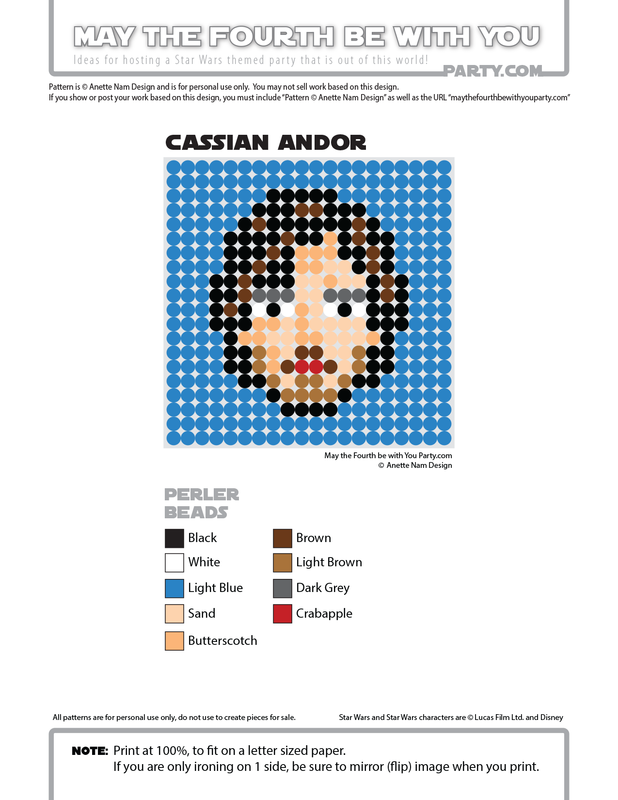 Cassian is #72 in the Perler bead/cross stitch/crochet/knitting/Lego/pixel/mosaic pattern series.